I just got back from my first trip of the summer. My family and I spent a week in Mammoth Lakes (Eastern Sierra) with my parents, sister, and my brother and his family. Needless to say it was a full house, but thankfully a spacious house. From the Bay area, the drive was around 7 hours which included a couple stops. On the drive there, we went further north than required, but this gave us the chance to take the Sonora Pass and see some sights that we wouldn’t get to see if we went through the Tioga Pass in Yosemite on both drives. We wandered into Jamestown as we headed to the Sonora Pass. Jamestown is an old quaint gold rush town that still has charm. While I wasn’t that hungry, we still managed to find a store serving delicious ice cream and of course I had a cone. From Jamestown we made our way up and over the Sonora Pass climbing to 9,624 ft. Breathtaking views abound on a drive like this, but I couldn’t gaze as long as I would have liked as the road is full of twists and turns and the shoulder … wait there often wasn’t a shoulder. After making it through the pass you make your way to 395 and head south passing Mono Lake and less than an hour you find yourself in beautiful Mammoth Lakes, a quintessential ski town that has diversified slightly by embracing mountain biking in the summer. While in Mammoth we basically took it easy. Members of the family took turn cooking breakfast and dinner with lunch being your own responsibility. Although I am a huge wine lover (big surprise as I own a wine business), my family aren’t big wine drinkers. Instead of sailing into the wind, I embrace my beer drinking side on these vacations. This year my brother and I decided to do a bit of sampling and brought a number of different beers to try. 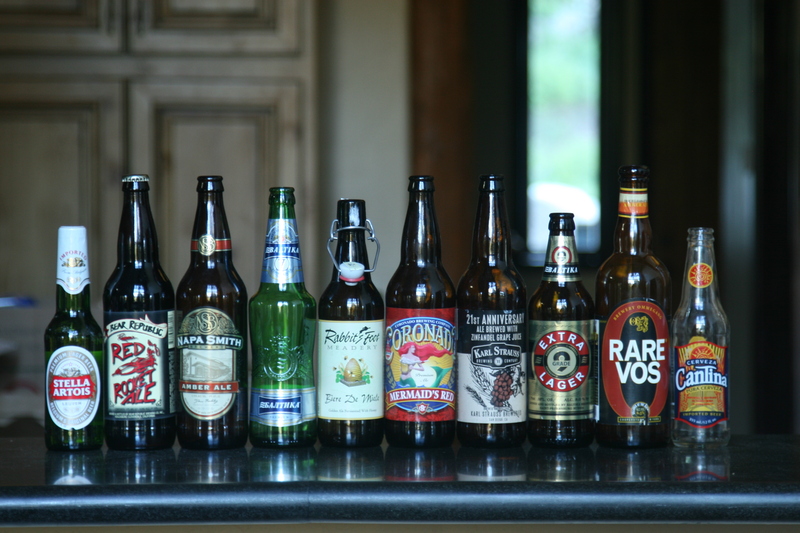 Of the various beers we tasted, I really enjoyed the Biere De Miele from Rabbit’s Foot Meadery. Not too sweet, it had good crispness and seemed to be a wonderful beer for summer. I have had the Rare Vos from the folks at Ommegang Brewery in Cooperstown, New York many times before and enjoy that beer a whole lot as well. Mark and I are visiting wineries on the California Central coast this week. With Napa Valley Premier happening this week, it seemed to be a good week to head south to avoid the crowds and expand our contacts in another important wine-producing region. As you may recall, I spent a week this past summer on the central coast as part of a family vacation + business trip. Needless to say, it is good to be back. Our first appointment was Tuesday afternoon with the folks at Alta Colina. I visited this same winery on my previous trip, but this visit gave me an opportunity to retry a number of their wines to see how they have developed in the bottle and determine if we should include a bottle in an upcoming wine club shipment. I was not disappointed. Ok, I take that back. I was disappointed, they had sold out of their Petite Sirah which was my favorite from the previous syrah. Both the GSM and Syrah came across and quite a bit more evolved than they were on my previous visit. The standout of this last tasting was their Old 900 Syrah which comes from a particular block in their vineyard. 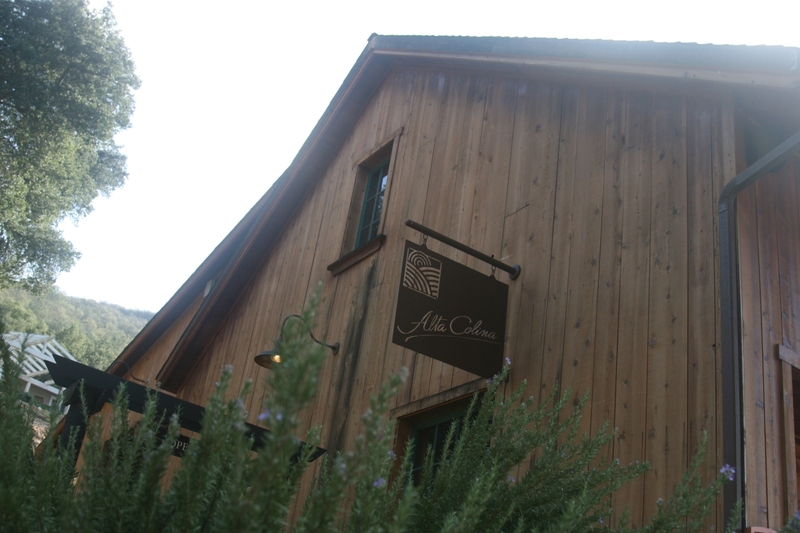 Thanks again to Maggie at Alta Colina for our tasting and for taking us up to their vineyards which sits around 1800 ft which is some of the highest vineyards in Paso Robles. From Alta Colina we headed to our second appointment of the day where we had a chance to taste through the wines of three wineries. Tasting through approximately 20 wines isn’t as fun as one might think. You really have to pay attention and take good notes or the wines will just start to run together. That being said, it was a great tasting as I would have been happy taking home a majority of the wines. My expectations were more than met. Frankly, I was surprised in how many of these left an impression. To me this is a testament to the winemakers’ talent, but also how far Paso Robles’ wines have really come. Just 10 or 15 years ago this tasting would not have been such a great experience. More to come on who we tasted with and how they may be finding their way into an upcoming shipment. Regardless, Mark and I will be swinging back through Paso and Thursday on our way back up to the Bay Area and I already know we will be swinging by to pick up some of these special wines. After we wrapped up our tasting around 6:15, we headed south to Pismo Beach which is our base camp for this trip. Dinner was relaxed as we picked up some bbq, headed back to the room for some TV and e-mail time, and of course a couple glasses of Paso Robles’ finest. We opted to avoid the “free” glass of wine at the hotel bar which was a great decision based on what they were pouring. Today, we head further south for several appointments in Santa Barbara county. It will be interesting to taste the impact of the cooler climate. Often you get the darker fruit flavors coming out of Santa Barbara which I look forward to sampling. I hope you have a great day, as I know I will. Hard not to have a good day with the sun shining and central coast wineries to visit. Day three of the family vacation and everyone is still alive. We have all vacationed together before, but the previous times have all included international travel and a lot more sightseeing. This vacation is a lot more “chill”, which translates to us spending a heck of a lot more time together than on our previous vacations. With less to see, we are just hanging out at the house or beach with an occasional adventure taken to another local seaside town. All the cousins are enjoying the extended time together and the parents and grandparents are holding up just fine. Yesterday, we celebrated my mom’s birthday. Nothing too extravagant, but we did manage to have a good dinner. In total, we ended up bbq’ing 6 racks of ribs. I prepared 3 racks my usual way, which includes about one and half hours to two hours of smoking, with bbq sauce only being applied during the last 20 minutes or so. My brother opted to bake his ribs for a couple hours and then finish them on the grill. Both styles had something going for them. Of course, I preferred my ribs as they had significantly more smoke flavor. In my book, smoke flavor = delicious. We also served cornbread and a green salad. It was not a white table cloth type of dinner, but it was one of the best meals I have had in a long time given with whom I was breaking bread. While my family isn’t big on wine, I still managed to open up a 2006 Juvenile Zinfandel from Turley Wine Cellars. I really enjoyed the zinfandel with the ribs and their slight char. The wine also worked well with the birthday cake, chocolate on chocolate. In the meantime, I hope you are enjoying your weekend as I am. I have squeezed in a bit of work this weekend as my business partner in Uncorked Ventures and I are beginning to discuss our next trip to Napa in few weeks. Our plan is to have three or four meetings set up with wineries we would like to partner with regarding our wine clubs and export services. If you have any particular wineries you would like to see us partner with, just drop us a note.